In April 2013, independent scientist Anthony Samsel and MIT scientist Stephanie Seneff published their mega studies analysis of glyphosate titled “Glyphosate’s Suppression of Cytochrome P450 Enzymes and Amino Acid Biosynthesis by the Gut Microbiome: Pathways to Modern Diseases” in the online journal, Entropy. With 286 peer-reviewed papers analyzed, Samsel and Seneff documented that glyphosate—and the herbicide Roundup®, in particular—has deleterious impact on disease causality in laboratory and farm animals, and humans. This is an interview with co-author Stephanie Seneff, of the Computer Science and Artificial Intelligence Laboratory, Massachusetts Institute of Technology, Cambridge, Mass. Before we get into details, will you please tell us how glyphosate and Roundup® came into being? Who owns it and how profitable a commodity is it for that corporation? Monsanto is the inventor of glyphosate, the active ingredient in Roundup®. It was brought to market first in the U.S. in the mid 1970s, and it came out from under patent in 2000, making it far more attractive as an herbicide due to the reduced cost. Didn’t Monsanto produce saccharine (1901? ), DDT (1944), Agent Orange for the Vietnam War (1960s-1970s), Posilac®—bovine somatotropin (Bst) for dairy cows (1994), Roundup Ready® soybeans (1996), Roundup Ready® Cotton and Roundup Ready® Canola (1997), Roundup Ready® Corn (1998), and receive USDA authorization for planting Genuity® Roundup Ready® Alfalfa and Genuity® Roundup Ready® Sugarbeets in 2011? Yes. 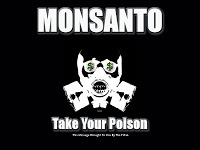 Monsanto has a long record of producing toxic chemicals. Some of Monsanto’s chemicals have been taken off the market because of environmental issues. Which are they? Well, of course DDT comes to mind. It was banned in 1972 in the US, due in part to the tireless campaigns of Rachel Carson, author of Silent Spring. Bovine growth hormone has not been taken off the market yet, but there is a great deal of public awareness of its problems, and many dairies have stopped using it to boost milk supplies from the cows, recognizing its adverse health effects for the cows as well as potential risk to the consumer. What do you think is the likelihood of that happening with glyphosate, since its apparent long-range health impacts are just becoming recognized, and they definitely are not favorable? It would be so wonderful if glyphosate were to be banned. I can dream that it might happen some day. It’s absolutely clear to me that it should be banned, but public opinion is very far away from that point of view. Monsanto has worked very hard to promote the idea that glyphosate is nearly harmless to humans. So, it’s going to take a serious amount of reeducation, or some catastrophe like half the children born diagnosed on the autism spectrum, to turn that around. How long has Roundup® been on the market, and how many gallons are used every year in the USA alone, not to mention globally? It’s been on the market since 1975, and was first introduced into the US market. The US market today represents 25% of the total sales worldwide. In our paper we showed how the usage has gone up substantially in step with the increased penetration of GMO crops that are “Roundup Ready.” In 2001 an estimated total of 85 to 90 million pounds of it were used in the US alone, and this number more than doubled by 2007. I expect it may have doubled again since then, but we didn’t find hard numbers on that. Glyphosate/Roundup is an organophosphate. Can you please explain what the problems are with that type of herbicide? Also, there is another organophosphate with an almost similar sounding name; it is glufosinate. Did you do any research on glufosinate? Technically, glyphosate is an “organophosphonate,” not quite the same as an organophosphate but close. You’re right that glyphosate and glufosinate are “cousins” with similar molecular structures and probably similar effects. We haven’t specifically studied glufosinate, but I’d imagine it’s just as damaging as glyphosate. Glyphosate disrupts the shikimate pathway, which plants use to produce a set of essential aromatic amino acids. All microbes also have this pathway, and it’s essential for their well-being. So glyphosate would be expected to disrupt gut bacteria, and it has been shown to be the case in research studies on cows and chickens. What was the motivation to perform such an exhaustive study on glyphosate? I have been studying autism for many years, trying to understand the underlying physiological dysfunction that causes it and trying to identify potential environmental factors that could be causative. It’s clear to me that autism has environmental causes, because genetic factors would not increase at such an alarming rate. The rate of autism in the US was one in 10,000 in 1970. Today it is one in fifty. And I anticipate that it will get much higher in the next ten years if we stay the course. I can’t even begin to think about how that will impact our society. Last September, I had the privilege to hear Prof. Don Huber, a retired professor from Purdue University who is an expert on plant physiology, give a two-hour lecture on glyphosate and Roundup, and I nearly fell out of my chair, because it became clear to me that the factors I was seeing in association with autism could all be explained by the known physiological effects of glyphosate. I was lucky to hook up with Anthony Samsel, who is an expert on environmental toxins, and he taught me much more about glyphosate. We were able to synthesize a plausible story for how glyphosate exposure in both the mom and the child could lead to autism. But, in addition, we realized that it could also explain a host of other problems that are reaching epidemic proportions in this country, such as obesity, depression, gastrointestinal distress, and Alzheimer’s disease. In your paper you say that the European Union is being asked by industry to approve higher levels of glyphosate in food crops. Why such a proposal and can you discuss that a little? I’d imagine that it’s simply that food was coming in from the US that was exceeding the limits that had been set. I think the limits are generally set somewhat arbitrarily based on what is measured in the food. Since most people think that glyphosate is nontoxic to humans, there does not seem to be too much concern raised when limits are jacked up by a factor of ten or even one hundred! Does that have anything to do with the supposed notion that glyphosate has a minimal toxicity effect in humans, which was based upon Monsanto’s safety/toxicity studies done for only 3 months on laboratory animals? Didn’t your research find that Professor Seralini’s two-year study contradicted Monsanto’s 3-month studies? Will you please elaborate on that and the apparent implications? Yes. Seralini’s research showed that glyphosate has devastating effects on the health of rats over the long term. Mammary tumors, kidney failure, liver cancer, etc. Glyphosate is insidious because it’s not immediately obvious that it has caused a problem. It slowly depletes certain vital nutrients until eventually you can become very sick. Can you explain why you contend that glyphosate is an environmental toxin that may be responsible for dysbiosis (what is that?) and sulfate depletion (what is that and its significance)? By examining the results of studies on microbes, plants and animals, one can extrapolate to what would likely happen to humans, and this leads to the conclusion that major biological systems would become disrupted (dysbiosis). Gut dysbiosis refers to an imbalance in gut bacteria such that there are too few beneficial bacteria and too many pathogenic forms. Our studies led us to predict that glyphosate would disrupt both sulfate transport (through competitive inhibition) and sulfate synthesis (by disrupting the enzyme responsible for sulfate synthesis). Sulfate plays a huge role (not sufficiently well acknowledged) in all the cells in the body for maintaining a healthy interface with the local environment and for cell-cell communication. And it’s also essential in neurotransmission. What led you to say that glyphosate may be the most significant environmental toxin contributing to autism? That requires a long answer! So many things line up between glyphosate and autism that I hardly know where to begin! Prior to even considering glyphosate, I had identified two key pathologies that co-occur on a regular basis with autism. These are disrupted gut bacteria and impaired sulfur metabolism. It turns out that glyphosate easily explains both of these, as we described in our paper. There are now three papers we’re aware of that show disrupted gut bacteria (overgrowth of pathogens and inflammatory gut) in chickens, cows, and pigs. The one on pigs just came out and was not available when we wrote our paper. Glyphosate has been shown to deplete methionine, an essential sulfur-containing amino acid which plays physiological roles related to both methylation and sulfate synthesis. Serotonin depletion is also associated with autism, as well as many other conditions that are prevalent today in the US, including Alzheimer’s, obesity, depression, suicide, and homicide (violent behavior). Plots showing autism rates in the US and Roundup usage on corn and soy crops show a remarkable correspondence. What are the key pathological biological effects of glyphosate that can explain or parallel the characteristic features of autism? As I said before, overgrowth of pathogens is an important one. This causes inflammatory gut, but also these pathogens release toxins that can get into the brain and cause neurological damage. More than this, glyphosate chelates essential minerals such as iron, zinc, copper, cobalt, molybdenum, manganese, etc. Some of these are very rare, but the body uses them in important ways, such that, when they’re depleted, major pathways get disrupted. Another really insidious effect is that it disrupts a class of enzymes called cytochrome P450 enzymes, also known as CYP enzymes. There are many different CYP enzymes in the liver that control things like cholesterol homeostasis, vitamin D activation, and, most significantly, detoxification of many different environmental toxins. For example, the liver depends on CYP enzymes to detoxify Tylenol, and an excess sensitivity to Tylenol has been implicated in autism. And CYP enzymes also detoxify pesticides (organophosphates), so these become more toxic in the presence of glyphosate. I think this might explain the bee colony die-off. Your research indicates that glyphosate contributes to or induces inflammatory bowel disease and a host of other diseases. Will you tell us about them? Also, aren’t bowel problems a prime health concern with autistic children? How many papers did you find regarding ASD children with bowel problems? Many people have studied the relationship between autism and inflammatory bowel disease, and it has become quite clear that there’s a connection. Andrew Wakefield was among the first to recognize this connection. He’s the doctor who wrote the paper inLancet on MMR and autism that was later retracted due to the influence of the vaccine industry. I would say that the inflammatory bowel disease introduces toxins into the brain that lead to a disruptions of normal maturation processes in the brain. The defective neural network leads to the autistic behavior patterns. I expect something similar is going on with Alzheimer’s disease and depression. Glyphosate is also a likely risk factor for certain cancers. I wonder a lot about breast cancer, which is very common among women in America today. Given Seralini’s results on mammary tumors in rats, one has to wonder. What can you tell us about the gut microbiome of chickens that needs to be investigated further with regard to glyphosate in chicken feed? How does that impact eggs and chicken meat people eat as food? We found an article that talked about disrupted gut bacteria in chickens. Highly pathogenic strains of Salmonella and Clostridium were found to be highly resistant to glyphosate, whereas beneficial bacteria such as Enterococcus, Bacillus and Lactobacillus were found to be especially susceptible. I have no idea what this does to the meat and eggs derived from the chicken, but knowing this has convinced me to buy only organic chicken. According to your research, glyphosate disrupts the body’s ability to detoxify other environmental toxins and leads to synergistic enhancement of toxicity. That’s extremely problematic insofar as the etiology of inflammation, chronic disease patterns, and the formation of adducts which reprogram DNA. Will you please comment on that? Well, I imagine you might be referring to DNA getting bound to aluminum and then becoming resistant to clean-up by the immune cells. I have read papers theorizing that this is how the autoimmune disease ASIA could develop (Autoimmune Syndrome Induced by Adjuvants). The DNA would burst out of a cell that dies suddenly due to excess exposure to aluminum, and then, because it can’t be broken down (bound to aluminum), it would be interpreted as being foreign and the body would develop an immune reaction to its own DNA. Glyphosate would interfere with the body’s ability to dispose of the aluminum, increasing the likelihood of this kind of reaction. Something most folks may not know is that glyphosate’s increasing toxic burden rates in humans may be impacting fertility, decreasing birth rates, and even contributing to the obesity epidemic. How can that be? Well, I mentioned before that obesity is one of the conditions associated with serotonin deficiency. The sole precursor of serotonin is an aromatic amino acid, tryptophan, whose synthesis glyphosate directly disrupts. This is well known. I think obesity is also a protective measure to allow the fat cells to sequester environmental toxins that can’t be eliminated due to glyphosate’s disruption of both CYP enzymes and sulfur metabolism. Aromatase is a CYP enzyme that plays an important role in embryonic development, and glyphosate disrupts aromatase function. Glyphosate also likely interferes with the breakdown of retinoic acid, which could mess up the timing in embryonic development. Cholesterol sulfate plays an essential role in fertilization, and we argued in our paper that glyphosate would interfere with cholesterol sulfate synthesis through its effects on CYP enzymes. This also impacts autism. 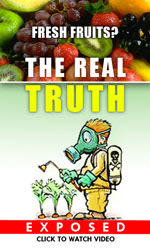 The obesity epidemic in this country began in 1975, coincident with the introduction of glyphosate into the food chain. And our slippage in infant mortality rates also began in 1975. We’re now #46 behind Cuba and Guam in infant mortality, which is abysmal, considering how much we spend on health care. A major concern I have, as a retired natural nutritionist, is GM cooking oils, i.e., canola, soybean, corn, and cottonseed oils. Since chemicals naturally gravitate to and store in fats in plants, animals, and humans—and oils are the fats in plant-based foods—what chemical interactions occur when GM cooking oils are heated? Have any studies been done as to what carcinogens may be created, i.e., polycyclic aromatic hydrocarbons (PAHs), when glyphosate residues are heated in deep fryers as in fast food restaurants? This sounds like something I need to study, because I was not aware of this. It is disturbing to think of heating glyphosate to high temperatures and what exactly that might do. I have no idea. I think it’s highly likely that these oils contain glyphosate, especially the GMO forms of them. My husband and I do not use any of these oils in our cooking. That leads to my asking about glyphosate’s adverse effects on gut microbiota. Please explain what microbiota are, how they are affected, and immune system interaction(s). It is becoming increasingly apparent that gut bacteria play many essential roles in the body. Researchers now speak of the gut “microbiome” an amazingly diverse set of genes representing all the different microbes, predominantly bacteria and yeast, which hang out in the gut. It’s rather sobering to know that they outnumber our own cells by a factor of ten, and their collective genetic complexity is at least an order of magnitude higher than our own genetic complexity. We depend upon their well being in order to be well ourselves. When you eat glyphosate-laden foods, you’re poisoning them every day, and you will pay a huge price for this in terms of not only your gut health but also your general health, because pathogens will be able to get past a leaky gut barrier and cause a systemic problem. You say that corn and soy crops have been shown to accumulate excess shikimate in response to glyphosate exposure. First of all, what is shikimate, and second, what does that do to animals and people eating such crops? Glyphosate blocks the pathway that converts shikimate into aromatic amino acids, so the shikimate piles up. It also gets diverted into phenolic compounds and ammonia. These can both be toxic to the body. Shikimate is listed as a Group 3 carcinogen, meaning that it might be carcinogenic, and it is certainly not recommended for general consumption. What I found rather startling is that glyphosate acts as a chelator of micronutrients, which means that plants then don’t have quantitative and qualitative nutrient values (vitamins and minerals), in Roundup Ready® crops that have glyphosate applications. So how can the U.S. FDA say that genetically modified crops are equivalent to conventional or heirloom crops? Would you please expound upon that, as I think that amounts to nutritional deficiencies similar to what happened in the early 1900s that required the introduction of “enrichment”, i.e., certain vitamins and minerals were added back to denatured, processed crops like wheat for bread making. Yes, I believe you are right. I do not understand how Monsanto gets by with claiming that there is no difference. A study done in Scotland by Pusztai on potatoes found striking differences between the GMO potatoes and non-GMO potatoes. A recent small study on GMO corn showed shocking levels of depletion of sulfur, calcium, magnesium and manganese, as well as a disturbing amount of formaldehyde showing up. The formaldehyde doesn’t surprise me, because there are bacteria called Pseudomonas that can break down glyphosate, but they release formaldehyde as a by-product. Formaldehyde is a known neurotoxin. From my reading of your excellent paper, I’ve come to the conclusion that amino acid profiles—especially methionine, an essential sulfur-containing amino acid—in plant foods may be reduced thereby contributing to additional plant nutrition deficiencies. Am I correct? Please explain or elaborate on your answer. Yes, it’s logical that that would be the case. 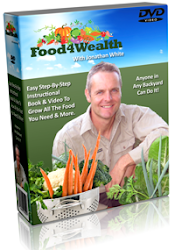 The plant gets depleted in amino acids and minerals by the glyphosate, and then you eat an inferior, nutrient-deficient food derived from the plant. Worse than that, you eat the glyphosate as well, and it interferes with your gut bacteria’s ability to supply you with essential amino acids. It’s a double hit. Even greenhouse experiments demonstrated that glyphosate application to the root system decreased levels of calcium, magnesium, iron, and manganese in the seeds of plants. That’s dramatic and catastrophic, I’d say. So, humans then will have less and less nutritional food values when eating GM crops. That on top of all the problems we have now with all the processed and junk foods masquerading as ‘healthy’ eating according to those who mass produce them. Yes. The processed foods are basically pseudo-foods put together from chemicals. It’s a ridiculous way to make food. I don’t eat anything that has more than five ingredients. And if you don’t recognize the things on the ingredient list, chances are you don’t want to eat it. Are you aware that the Kosher Certification Program, Natural Food Certifiers has banned all GMO ingredients? NFC Director Rabbi Reuven Flamer says, “Recent studies show that GMOs may cause various kinds of health problems from digestive disturbances to food allergies, and that GMOs require more herbicides, which is really the opposite reason why GMOs were touted to be so environmentally helpful in the first place.” So, you see consumers are starting to take notice of the facts about GMOs and certain industries are responding to consumer concerns. I was not aware of that, but I’m really happy to hear it. Ben and Jerry’s Ice Cream also has made a commitment to no GMO’s, and Whole Foods has promised to label all GMOs in their foods. These are great steps. I’m not a political person, but I have become politically involved in trying to get my state, Massachusetts to pass a GMO labeling bill. It amazes me how hard it is to get any traction on what seems to me like a very simple issue. May 25, 2013 it is estimated that two million people around the globe participated in the March Against Monsanto. Whole Foods Natural Grocery Store chain will require mandatory GMO labeling on all food products by 2018. What does that tell you? Maybe we’re reaching the “tipping point” that Jeffrey Smith [Institute for Responsible Technology http://www.responsibletechnology.org/] likes to talk about? Here’s an off-the-wall question, but someone has to ask it, I think. Since Monsanto claims ownership or royalties by farmers whose crops have been GMO-pollinated by wind or insects, thereby legally enforcing their patent rights, do people who eat genetically modified foods belong to Monsanto? Will Monsanto have any legal rights to them or their children, especially since Monsanto is so predatory and patent conscious? Furthermore, how can living organisms, which seeds and food are, be patented? Is there something sinister going on that people who eat GMO food aren’t recognizing? I am astonished at the kind of power Monsanto has been able to wield. I’m sure you’ve heard about the recent contamination of wheat fields with GMO wheat that cut loose somehow from Monsanto’s research farms? I hope many countries refuse to buy our wheat, as it could really put pressure on the government to start to move in the other direction. Of course, Monsanto has the right, I’d assume, to sue these farmers who are now unable to sell their wheat to Japan and South Korea. Monsanto can sue them for “growing” patented GMO wheat without having bought it from Monsanto. How absurd is this? Lastly, recently there was a study indicating that diabetes is the disease that makes people cranky and violent. Well, in your paper diabetes is one of the numerous diseases that can be attributed to glyphosate’s negative intervention on enzymatic pathways, especially cytochrome P450 enzymes, which impact hormones. Can all the craziness and violence we see in society today be attributable to an escalation of chemicals, especially ubiquitous glyphosate, that are biologically programming people to do crazy things? I absolutely believe this is the case. I was frustrated with all the school shootings where the focus is entirely on controlling who buys guns rather than addressing directly the issue of why do we live in a society where people are capable of committing such heinous crimes? These results indicated that low and environmentally relevant concentrations of glyphosate possessed estrogenic activity. Glyphosate-based herbicides are widely used for soybean cultivation, and our results also found that there was an additive estrogenic effect between glyphosate and genistein, a phytoestrogen in soybeans. And further animal studies are needed, they say. Well, Professor Gilles-Eric Seralini at the University of Caen and CRIIGEN  in France has been doing studies on laboratory animals given GMO feed for years now; his study results have been published; and no one seems to want to take the damning results seriously. Go figure! In closing, I’d like to let readers in Hawaii know about Dr. Stephanie Seneff’s Hawaiian speaking engagements about glyphosate, GMOs, and the paper she co-authored about how they impact human health. The Kokua Market Coop will be sponsoring Dr. Seneff’s two speaking engagements: one in Honolulu and the other in the northern part of Oahu the evenings of July 23 and 24, 2013. For location, please contact The Kokua Market Coop, 2643 S. King St., Honolulu, HI 96826, Phone: 808-941-1922.